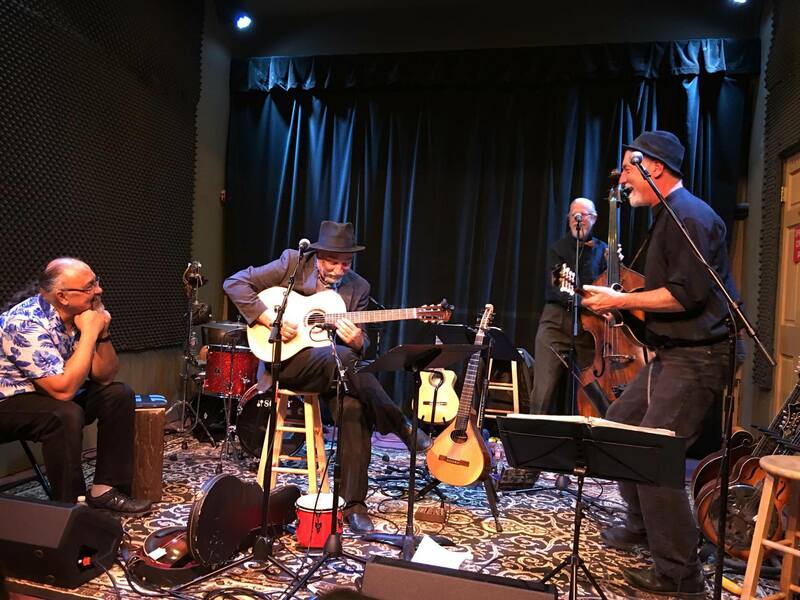 Laughing Hands performs their own unique blend of “fusion” music, combining elements of jazz and rock with various ethnic styles, including eastern-European gypsy music, Latin-American, Spanish flamenco, Asian, and American Bluegrass music. The ensemble includes mandolin, mandocello, upright bass, acoustic and electric guitars, flute, chinese erhu, bulgarian tambura, Greek bouzouki, percussion, banjola, etc.. Together since 1990, they have recorded two highly acclaimed CD’s; “Laughing Hands” (in 1995) and “Achmed the Angel” (in 1999). 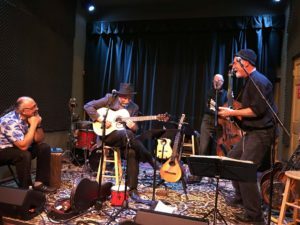 Laughing Hands is a six-piece group made up of Steve Mullins on various stringed instruments, Brian Muillins on strings and flute, Ed Rudman on guitars, Mike Fitzmaurice on Bass, Clay Bielman on drums, and Ed Contreras on Percussion.